A huge, gilt-framed oil painting in a stately home inspired this distinguished Digby Collection in oversized check tweed. LoveMyDog’s Creative Director Lilly comments, “It was a Victorian country scene full of people and dogs, and I loved the colours”. 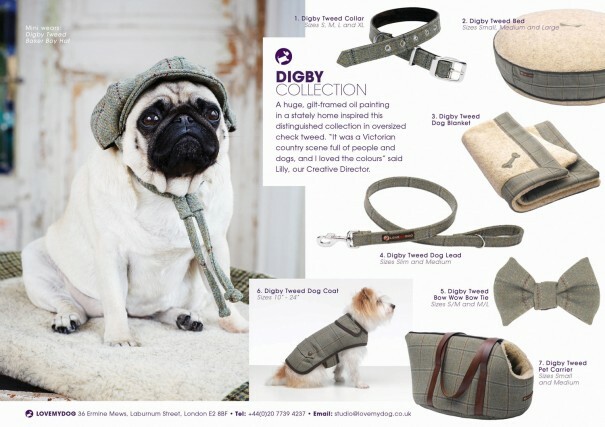 Soft, warm and hardwearing, this collection suits dogs with either dark or light coloured coats. 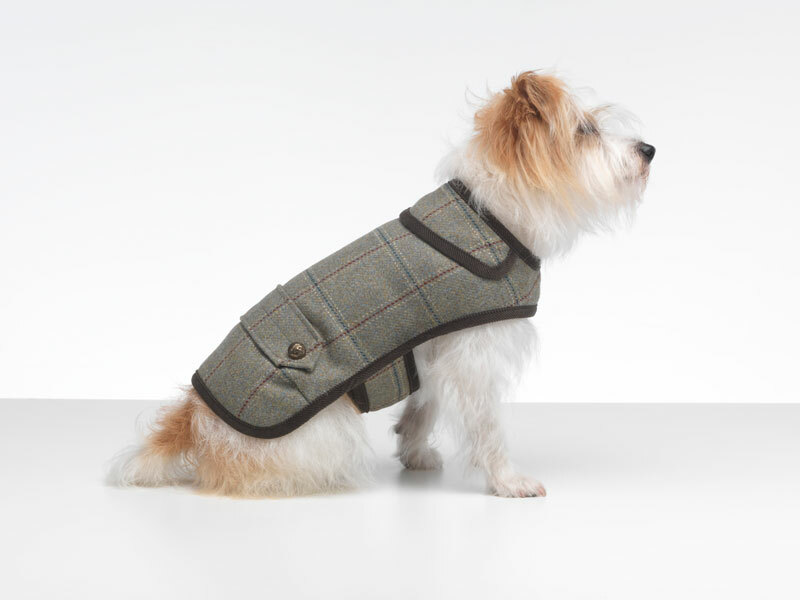 Each Digby Tweed Dog Coat is cut out by hand using one of our unique, specially drawn patterns. All the pieces are pinned and then individually sewn using top quality thread and meticulous stitching and real leather buttons. 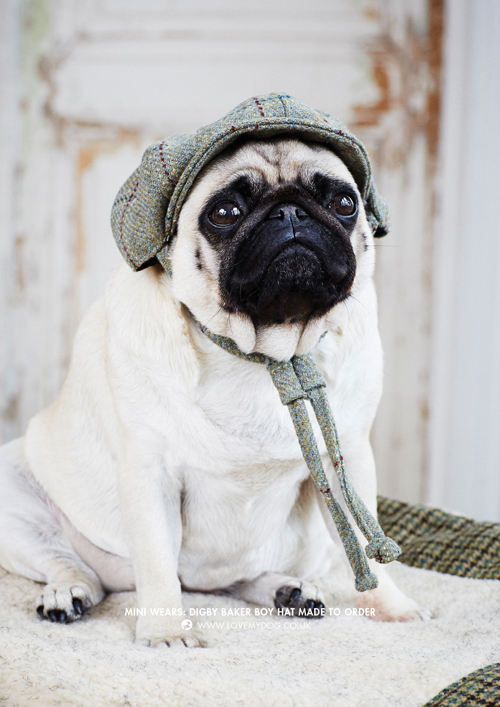 Your dog’s coat fastens with broad Velcro straps that go around the underbelly, so it’s very easy to put on and off. Occasionally it may need a clean – after all, dogs do like to roll in some unspeakable things! When that happens, just hand wash the coat or give it a wipe over with a damp cloth, and it comes up looking like new. Carry your favourite little dog in resplendent style. 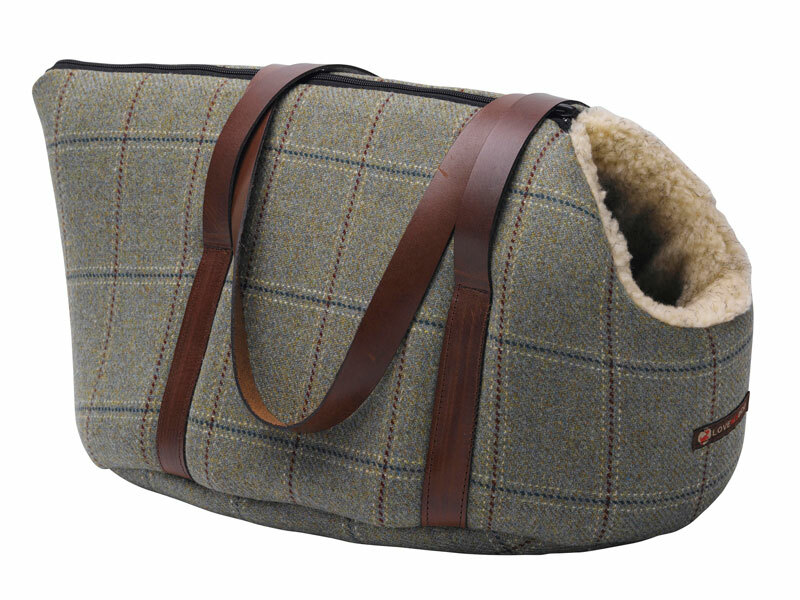 Made from a stylish Scottish Tweed, with Italian leather straps, the Digby Tweed Pet Carrier is an iconic piece of British design but also very comfortable for both you and your pooch. The tweed is stain resistant, ultra-soft but also very hard-wearing woven from the wool of the Cheviot sheep. LoveMyDog beds are designed to give a little height to keep your dog out of draughts while they are sleeping. 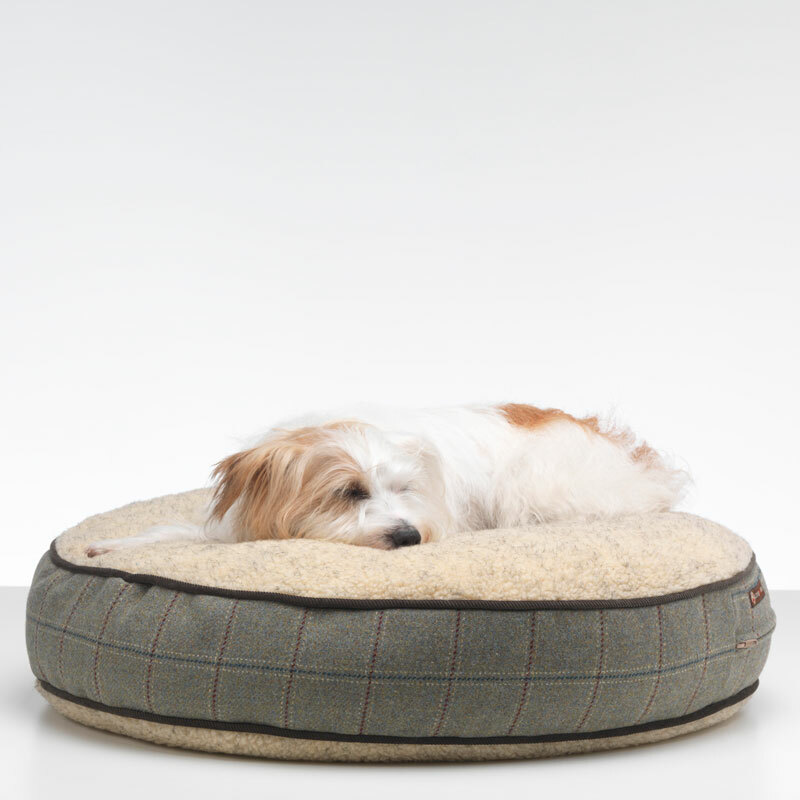 Inside the Digby Tweed Dog Bed is hollow-fibre filling which moulds to your dog’s body for outstanding comfort and support. Afterwards, it springs back into shape, so your bed always looks smart. This technologically advanced filling also has ‘thermo-regulating’ properties which help keep your dog cool in summer and warm in winter. You’re really giving your pet the best – they are going to feel so comfortable for a grand night’s sleep. 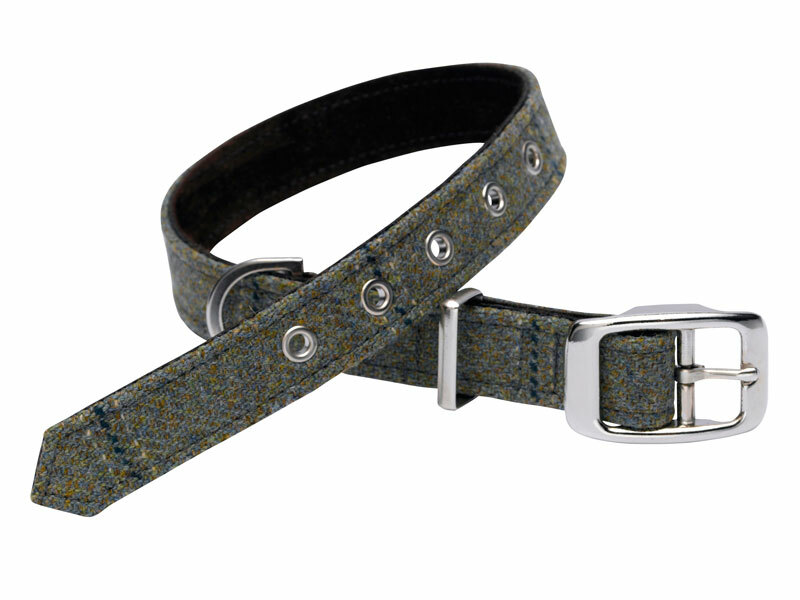 Hand cut in our design studios and finished by traditional British belt-makers, the Digby Tweed Dog Collar is an icon of understated design. It’s strong enough to last a lifetime, yet supersoft for maximum comfort. 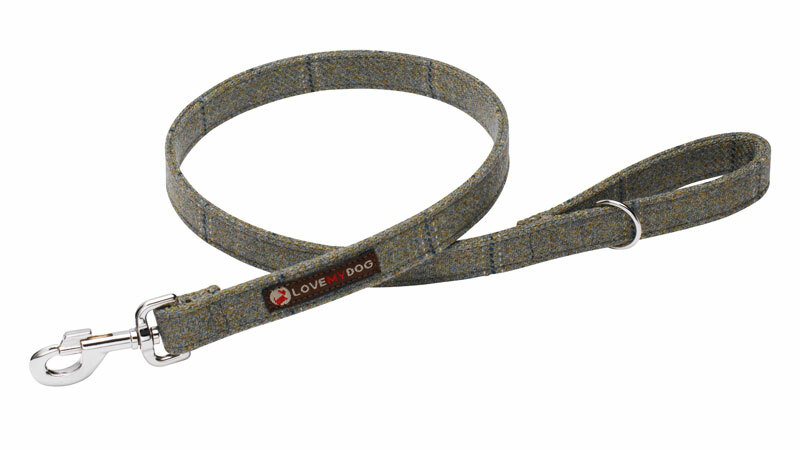 The Digby Tweed Dog Lead is strong enough to last a lifetime as tweed is famous for being hardwearing. Yet this superb natural fibre also feels very comfortable in your hand.